Dan appeared on Good Morning America today to discuss the high-profile feud between Stephen Baldwin and Kevin Costner over the BP oil spill. That’s right, Stephen Baldwin has sued Kevin Costner in a New Orleans federal court over a business deal, and while it sounds “like a Saturday Night Live skit,” it is true. Baldwin claims that Costner and others tricked Baldwin into selling his share of oil extractor devices early, while Costner had a larger deal with BP in the works. So does Baldwin’s complaint have merit? “This is going to be a tough case – Costner and his team – Kevin Costner spoke about it publicly days before the deal was finished, BP had made an announcement over the deal, so Baldwin and his team are really going to have to show that there was manipulation and deception” in the actions of Costner and his team, says Dan. 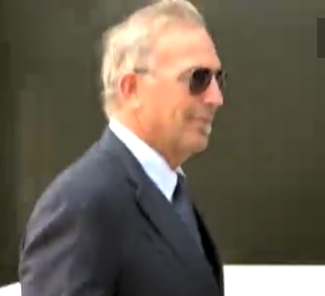 Baldwin claims that Costner’s team was keeping information from him and excluding him from meetings so that he would sell early. So what will happen? “Most of the times these things are setlled,” states Dan, but this time, “Costner’s position is that this is a totally frivolous lawsuit, and as a result were simply not going to settle, not for a penny.” Dan also does not think that their celebrity status will play a role, and that the judge and jury will focus more on Costner’s constant involvement in this company since the early 1990’s, seeing his faith in the business and the time he’s devoted to it, making Baldwin’s case even tougher. Watch the full video here.